Cyberspace has become a major locus and focus of international relations. Most global powers have now streamlined cyber issues into their foreign policies, adopting cyber strategies, and appointing designated diplomats to pursue these strategic objectives. 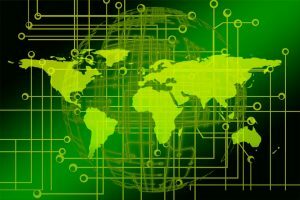 This article proposes to explore the concept of cyber-diplomacy, by analysing its evolution and linking it to the broader discussions of diplomacy as a fundamental institution of international society, as defined by the English School of International Relations. It argues that cyber-diplomacy is an emerging international practice that is attempting to construct a cyber-international society, bridging the national interests of states with world society dynamics – the predominant realm in which cyberspace has evolved in the last four decades. This article was published in the academic journal Global Affairs. The article on cyber-diplomacy written by our Research Thomas Renard and published in the academic journal Global Affairs was awarded the Best Article in Global Affairs Award 2019, by the European International Studies Association (EISA). As a result, the article is now accessible free of charges on the website of Taylor and Francis.